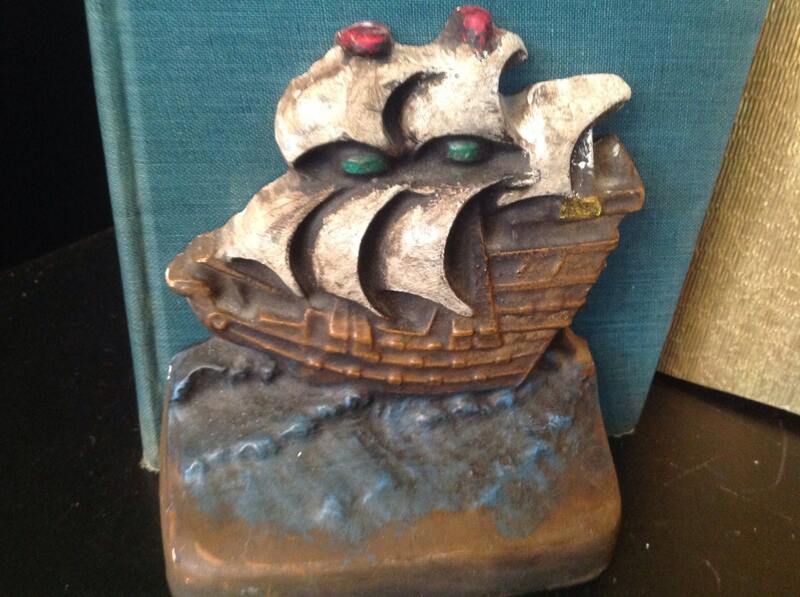 Offered in a vintage wall hanging and bookends. 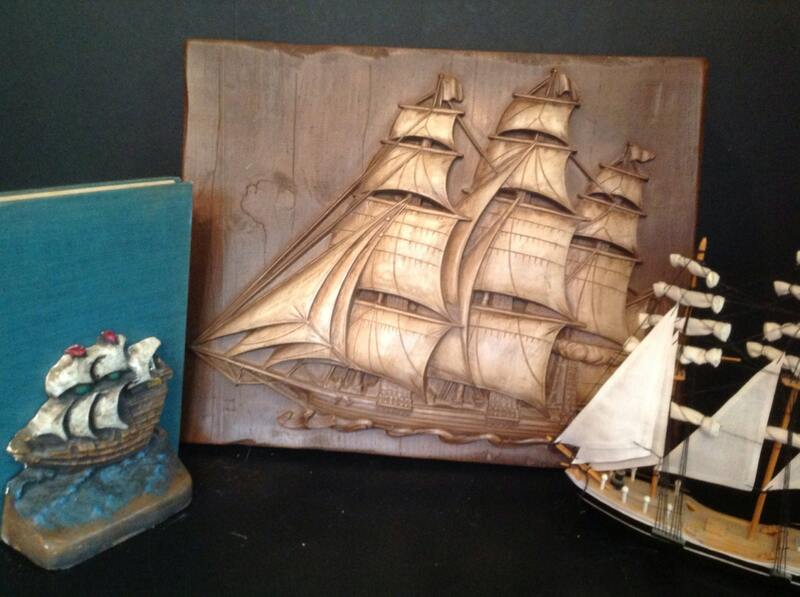 Both feature large ships/boats with many sails. 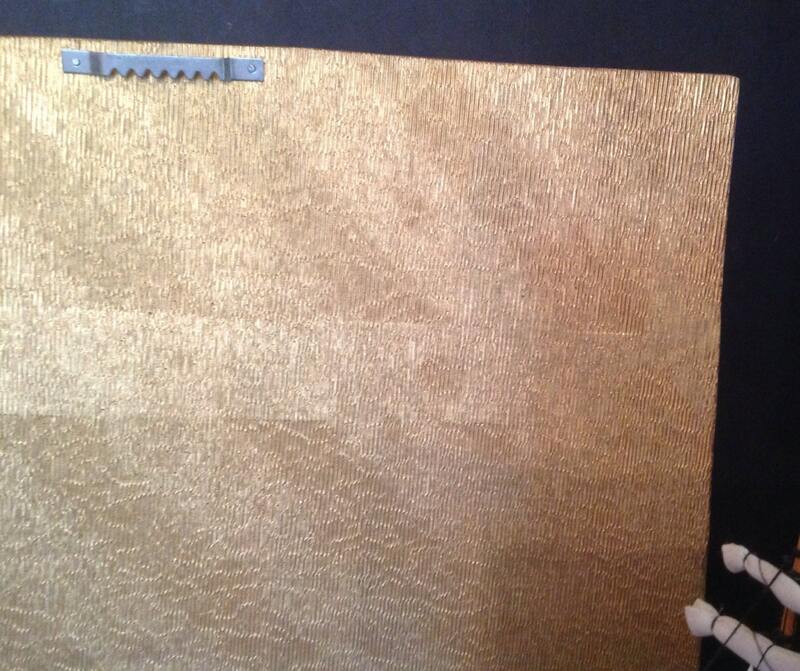 The wall hanging is a very hard lightweight plastic that looks just like rough wood. 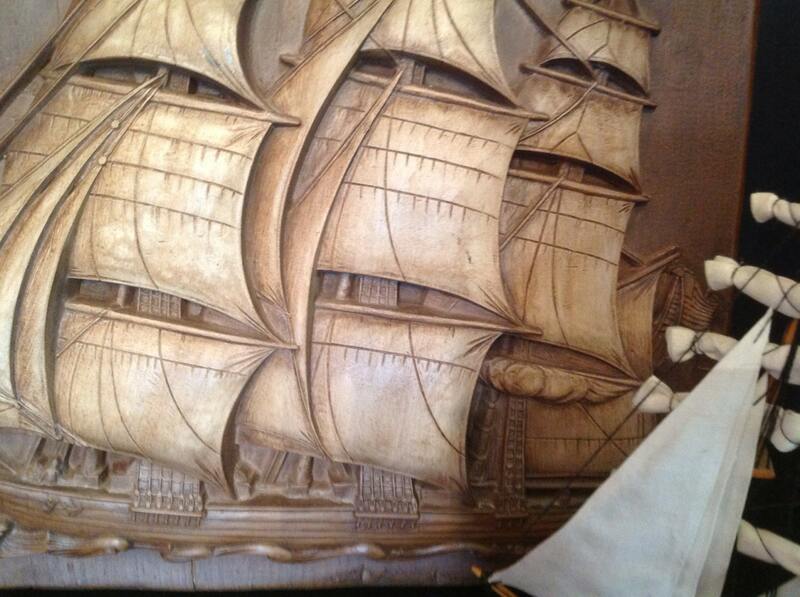 The billowy sails are antique stained . 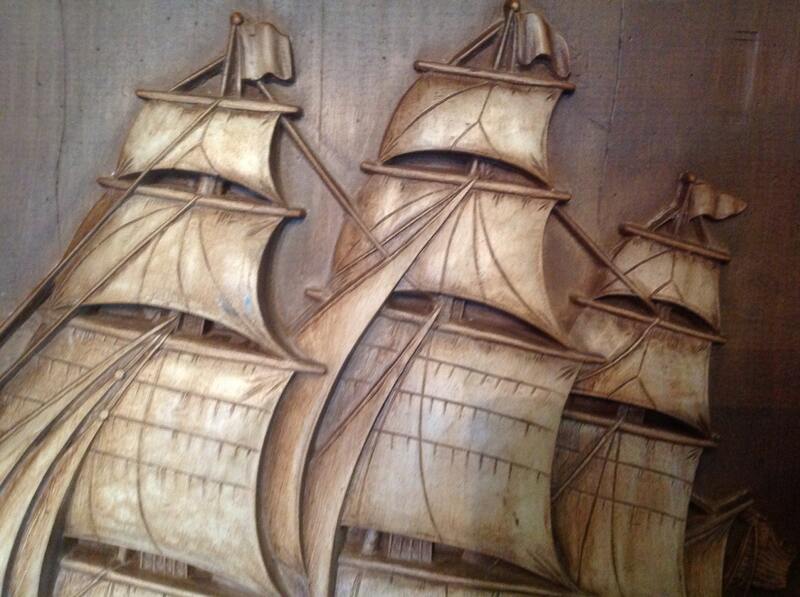 Included in the design are flags, waves, anchors and figures. I recycle packing materials, so they may be rather unattractive but still effective, as I pack carefully.